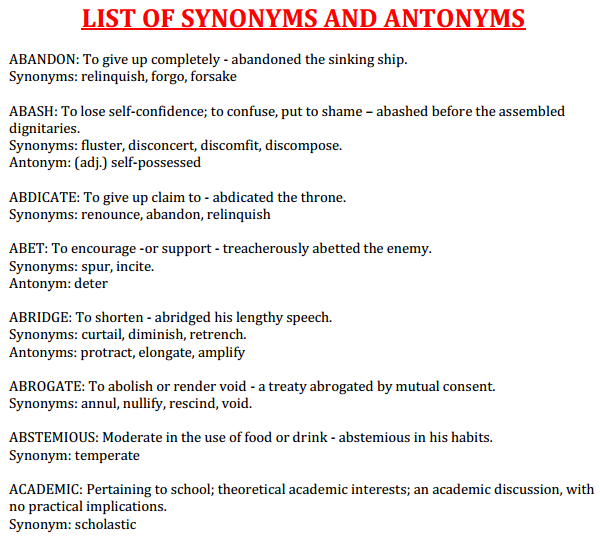 Today we are sharing a complete List of Antonyms and Synonyms which were asked in different exams in previous years and these are the most important word for upcoming exams, so please go through this. Synonyms and Antonyms are very commonly asked in any competitive not only in govt exam but in placement papers also and in also in International level paper like ILETS, GRE, MS etc . So before giving these exams you will need to remember these words. we have compiled the various word and links from where you can directly access these files. 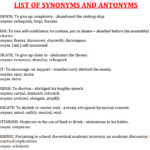 Download synonyms and antonyms from below links. Roget’s Thesaurus of Words for Writer – It’s more like an ebook which contain 2300 emotive, evocative, descriptive synonyms, antonyms and related terms.